This new book by Eric Galvin offers a strong picture of life in Wells a century ago drawing on the lives of the nineteen men on the roll of honour in SS Joseph and Teresa’s Catholic Church. Most grew up in the City’s Catholic Community. Four died in Action; two lived on Army Pensions for the rest of their lives and the others returned to civilian life where they played an active part in the city’s economic, social and political life. How in 1875, Bishop Clifford of Clifton met the need for local Catholics to have their own Church, a school supported by nuns from a new convent and an appropriate home for the enclosed order of Carmelite nuns displaced from their home in Plymouth. 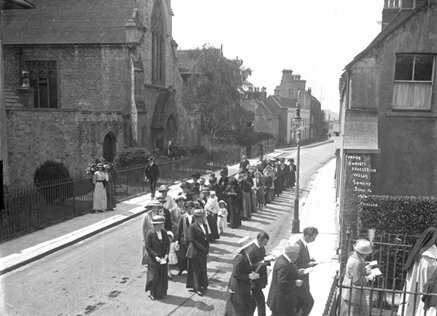 The ‘Home Front’ in Wells during the war including the impact of Father Morton going beyond spiritual support for parishioners to initiate debates on a just peace internationally and an equitable society within Britain. How the fighting ended, peace secured and those who served were remembered. 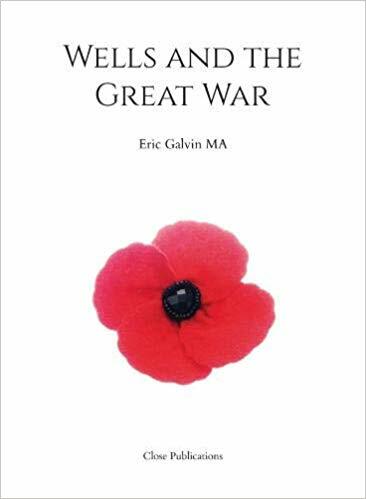 For more details or to order a copy (£9.99 plus postage £1.64), contact Eric Galvin on 01749- 679159 or by email eajgalvin@aol.com. Also available from the Wells and Mendip Museum. 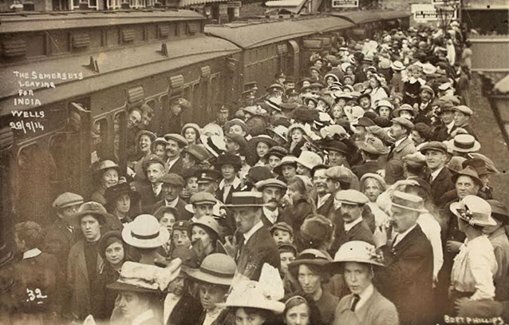 50 days after the war starts – The Somersets leaving for India’ from Tucker Street Station.